Police nab woman suspected of repeatedly vandalizing synagogue, smearing feces on its mezuzot. A 48-year-old woman from central Israel has been arrested, after a synagogue was repeatedly vandalized, with feces smeared on the building’s entrance. 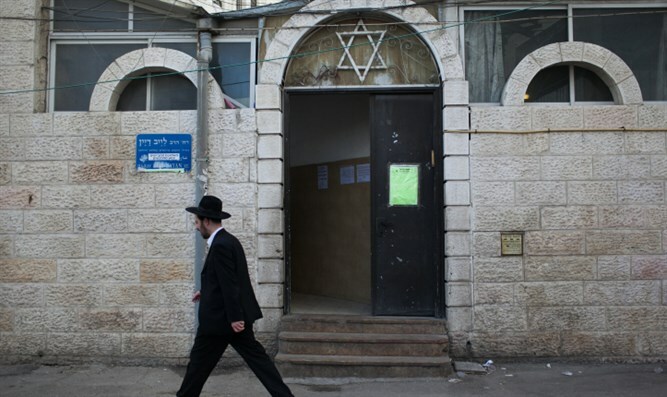 Worshippers at the synagogue had filed complaints with police in recent weeks over a series of acts of vandalism targeting the house of worship, Kikar Hashabbat reported Thursday, noting in particular that feces had been smeared on the mezuzah at the synagogue’s entrance. Jews traditionally mark the doorposts of their buildings with mezuzahs - small scrolls containing portions of the Torah. After a number of incidents at the synagogue, security cameras were installed, allowing police to identify the person responsible. Authorities say that they identified the perpetrator as a 48-year-old woman from the city of Rehovot. The suspect was arrested and taken in for questioning, during which she confessed to the crimes. The woman was subsequently released on bail.